Operations slowed after the new computer system was launched at Brigham and Women’s Hospital last year, as many employees struggled. Judy Lydon had a busy routine as a maternity nurse at Brigham and Women’s Hospital. She moved from room to room taking care of women and their new babies, checking vital signs, changing diapers, helping mothers hold and feed their newborns for the first time. Then came the new computer system. Now, she says, she’s become a captive of the keyboard, spending far more of her time recording every blood pressure reading, every feeding, every diaper change. The demands of the new system are so taxing and time-consuming, Lydon said, that the computer has come between her and her patients. More than once, Lydon says, she has burst into tears on the drive home. “I know people throughout the hospital, and they find the same thing: it’s tedious, labor intensive, and you feel like you can’t do what you want to do,” said Lydon, a nurse for more than 30 years. The new software that the Brigham’s parent company, Partners HealthCare, bought for its hospitals and clinics is modernizing the way it tracks patients’ medical care. Doctors and nurses will know more about their patients more quickly — from emergency room visits to medications. Partners executives say this will result in safer care. Information like patients’ vital signs will now instantly flow from bedside monitors to their computerized health record. But for Lydon and other nurses and doctors at Partners, the new system has become a disruptive presence. They say it has an insatiable demand for information that, keystroke by keystroke, click by click, overwhelms the already tightly wrapped day inside a hospital, eats away at time with patients, and sometimes forces them to work longer shifts. Simple tasks like ordering medications and tests can take several minutes longer, forcing patients to wait around while staff navigate the system. It collects and displays so much information that Partners had to replace thousands of computer monitors with larger 24-inch screens to fit all of it. One doctor said she would spend half her days on the computer. And because her monitor was attached to a wall, she had her back to patients. After months of this, she decided to retire early. The delays and frustrations experienced at Partners affect a vast number of people because of the organization’s sheer size, but they are not unique. Health care organizations across the country to some degree have experienced similar struggles as they adopt new systems to comply with federal regulations to digitize patient records. Specialists in the industry say the programs on the market now are not as user-friendly as health care workers would like. At Partners, executives acknowledge that rolling out such a massive, complex system at an organization as large as theirs, with 10 hospitals and 68,000 employees, was bound to be difficult. 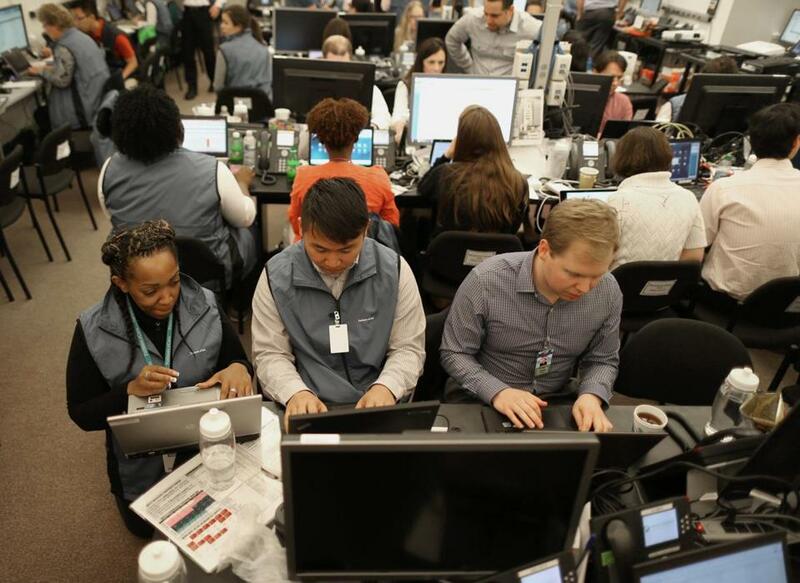 They hired hundreds of IT workers to prepare and customize the software, provided days of training for employees, and scheduled fewer patient appointments to prepare for the launch. The software is made by Epic Systems Corp. of Verona, Wis. At $1.2 billion, it is the largest project ever undertaken by Partners, more expensive than any of the medical buildings in its sprawling network. It was launched at the Brigham in May 2015 and at Partners’ other flagship hospital, Massachusetts General, in early April. Partners executives said an all-encompassing software was necessary to consolidate the many different ways it records information on its patients. Epic allows doctors to see more relevant information in one place, better track patients over time, and share information with patients online. The software includes safety features to prevent doctors from prescribing medications that could interact with one another and cause harm. It has gotten a mixed reception at Partners, according to interviews with two dozen people, including employees who have used the system, patients who saw it in action, and others with direct knowledge of its rollout. Most Partners employees declined to be named to avoid angering the company. One physician not complaining about the system is Dr. Marie Pasinski, a neurologist at Mass. General. She said it helps her more quickly review referrals, prescribe medications, and enter notes. Pasinski spent 18 hours in training before switching to the Epic software. But she knows many colleagues are not as buoyant. Her husband, a primary care physician, is working longer days to adjust to the program, she said. Meyer acknowledged the program includes more “clicks” that can slow doctors down. But he said the additional time is justified if it leads to safer care. Officials at Epic say some health care workers adapt to the software within hours, while others, usually older employees, don’t seem to get comfortable. 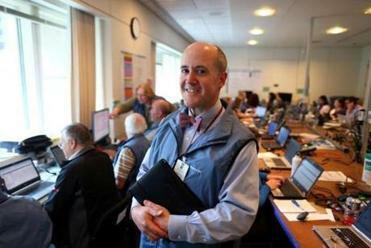 But after the system launched at Brigham last year, operations slowed as many employees struggled, especially early on. One of the features that caused angst: a notification system that overwhelmed doctors with hundreds of daily messages about their patients. Brigham assembled a task force to help doctors make sense of the flood of information. Almost a year after the launch, Walls said the Brigham is still working to sort out kinks and helping employees adapt. By all accounts, the latest Epic rollout at Partners, which included Mass. General, Newton-Wellesley Hospital, and the affiliated Massachusetts Eye and Ear Institute, was smoother than the previous launch at Brigham and the affiliated Dana-Farber Cancer Institute. Partners added and improved training programs after the rocky start at Brigham. Epic’s software is used by many top medical institutions, but also has been criticized for its high price tag. Other Massachusetts hospitals that recently installed an Epic system include Lahey Health of Burlington, which attributed financial losses last year in part to the costs of implementing the system. Even Partners has acknowledged the expense of Epic will reduce its earnings over three years. Many hospitals in fact report being less efficient after adopting new electronic health record systems, according to the research firm IDC Health Insights. “They’re more about billing and complying with mandates than about what’s really useful to the physician to help us take better care of patients,” said Dr. Glenn A. Tucker, who chairs the Massachusetts Medical Society’s committee on information technology. A few weeks into the launch at Mass. General, Dr. Thomas J. Lynch Jr., chief executive of the physicians group at Mass. General, said most doctors are adapting. But he acknowledged the system has a way to go before it becomes simple to use. Priyanka Dayal McCluskey can be reached at priyanka.mccluskey@globe.com. Follow her on Twitter @priyanka_dayal.